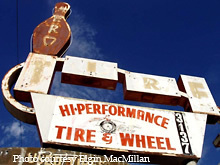 Here's Hi Performance Tire and Wheel in Phoenix, AZ. If this looks familiar to you, it was the former Aero Bowl. The business stated that they are getting this Van Buren location ready for reopening and that they they were going to keep the sign. 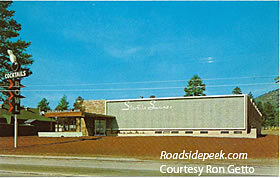 Here's an old bowling alley still located along the Miracle Mile in Tucson. Check out the old sign for the Golden Pin Lanes with paint that has been somewhat beaten down by the Arizona sun. 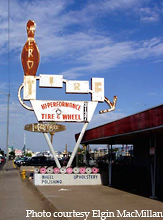 The building itself also features a bowling pin and ball that can be seen from the roadside. 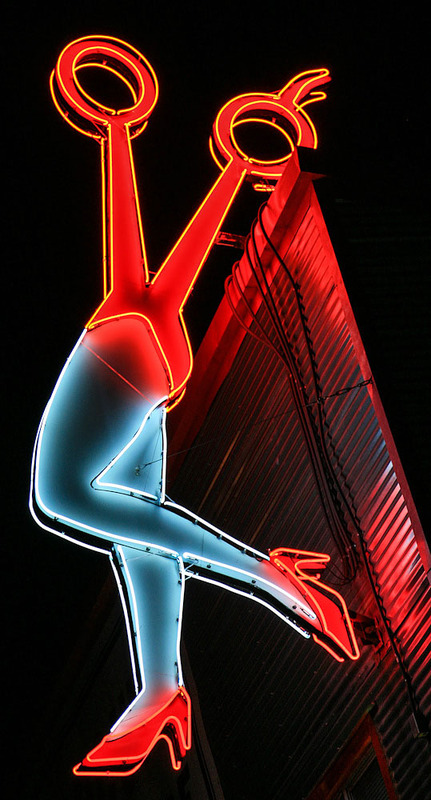 One of the old bowling alleys in Arizona still survives.